This so called "life" is a journey and it doesn't matter who you are--you are special and unique with something to offer and enjoy, period. The obstacles and detours the roads present are not any easier in one car or another; it just boils down to how you navigate your way through and around them. One of McGuirk's key principles centers on the concept of State, i.e. your state of mind, how you feel. State is the emotional fuel you want to fill up on--the things or experiences that make you feel good. Most people have been fueling up the wrong way their entire life and their state is not what it ought to be. They fill up on poor quality emotions then spend their lives trying to escape important things because they can't find a way to derive pleasure from them. One of the worst things people fill up on is alcohol and drugs--sure it helps temporarily, but it doesn't take long before they're coughing and sputtering on the exit ramp and nothing works for them any more--they're feeling guilty, unfulfilled, empty. Fueling up the right way is what successful people do--they fill up with it first thing in the morning, every day of their lives. They create their own happiness because they know that by feeling great, it will be easier to attain the abundance and success they really want. For the millions of people fueled on desperation, broken down and in need of repair, Under Construction is a shop. It is the place to learn how to give yourself a tune-up. McGuirk provides all the tools you need to keep from struggling on the road, but ultimately, it's your shop--you are the mechanic. 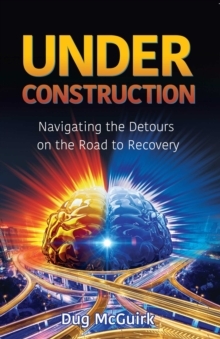 If you're ready and willing to turn your world around and start really enjoying your life journey, Under Construction is the perfect guide. Quit pushing your rusting old car around and start taking laps in the winner's circle--with McGuirk navigating, you CAN do it!